Hey girls !! 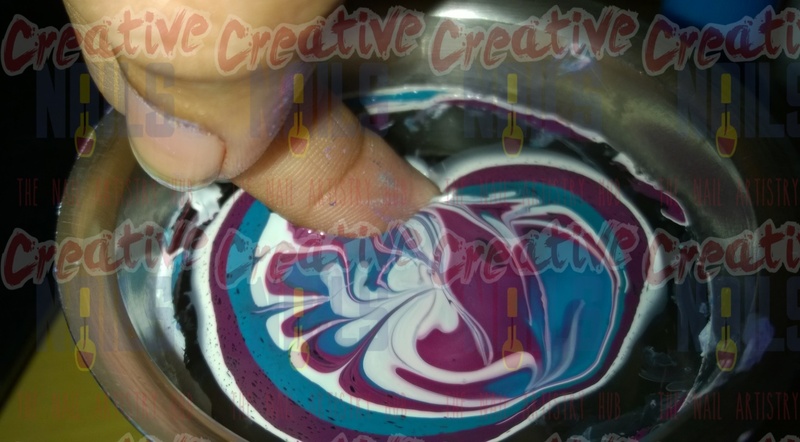 I tried Water Marble Nail Art today !! Apply a base coat of clear and white nail polish to your nails. Use an unwanted old bowl and fill it with water. Select the colors that you want to use for marble design. 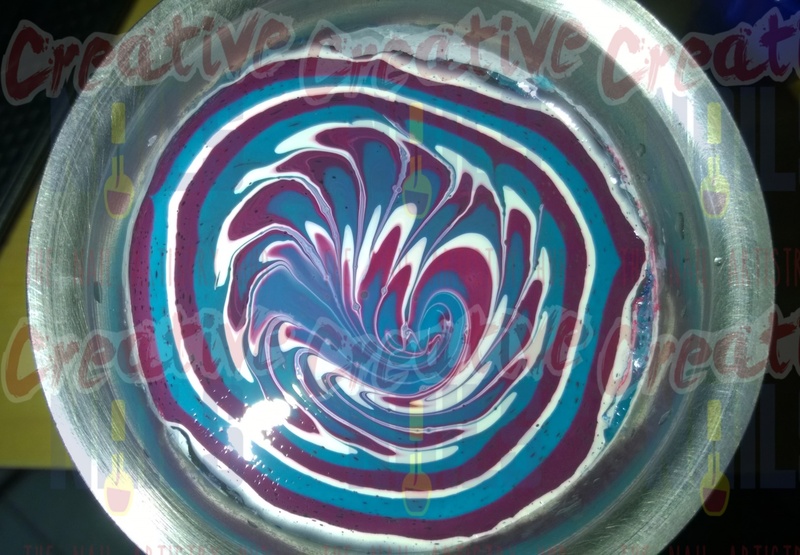 Pick the first color and hold it over the bowl. Let the drop fall into the water. It will quickly move across the surface of the water. Repeat the same procedure with other colors of your choice. Let this drop of the nail polish fall in the center of the other polish-slick. 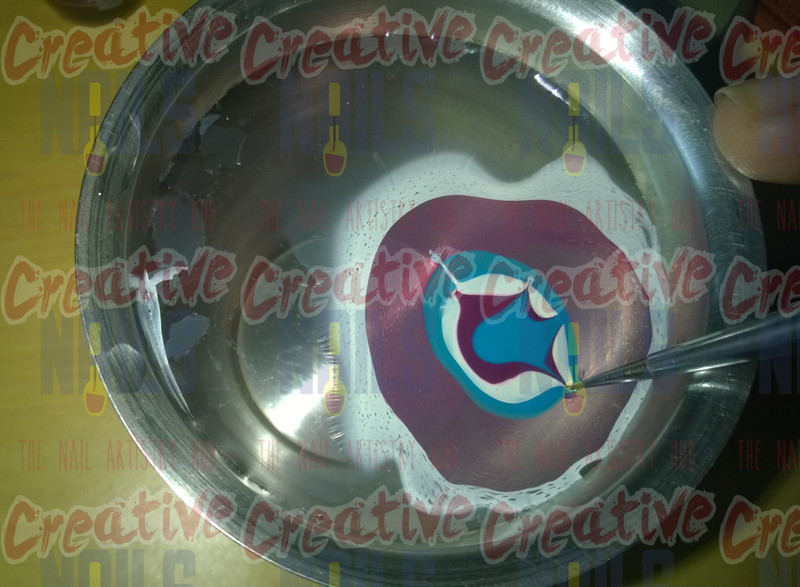 Make alternate rings of the desired colors as shown in the image below. Select a desired portion of the design and dip your finger as shown in the image. Blow some air to dry the unwanted nail polish and remove it using a stick. 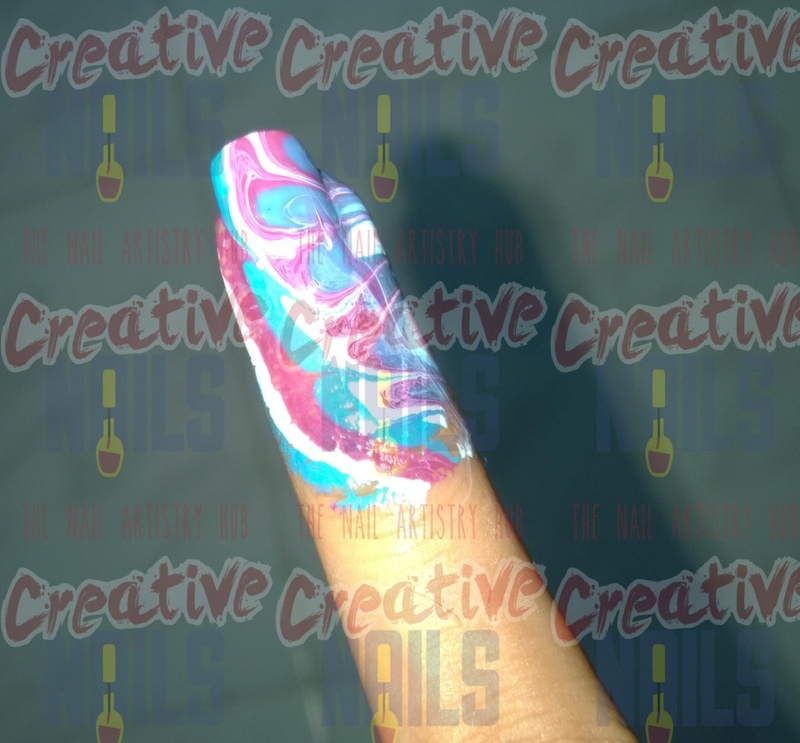 Take out your finger and use cotton and nail polish remover to wipe out the unwanted nail polish on your finger. Apply a top coat of clear nail polish. Isn’t it looking pretty? 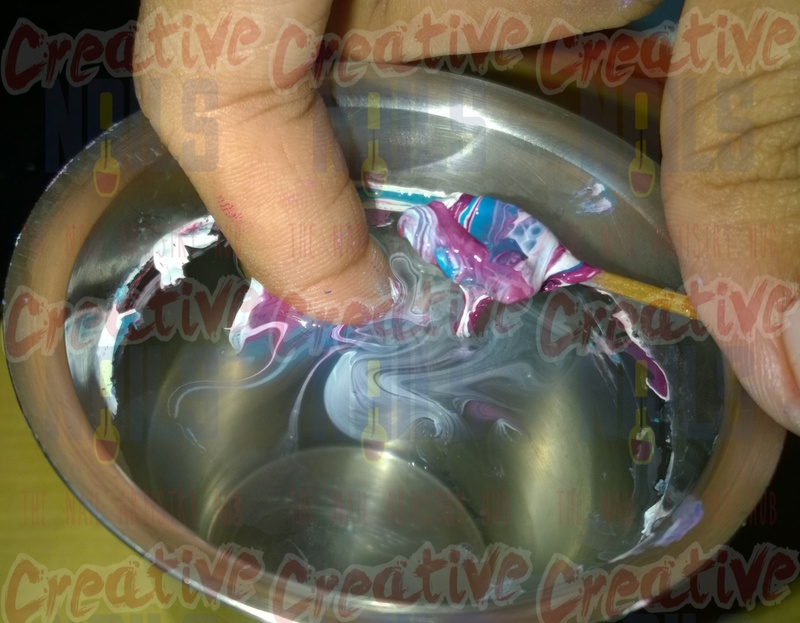 I will soon be back with some more water marble designs. 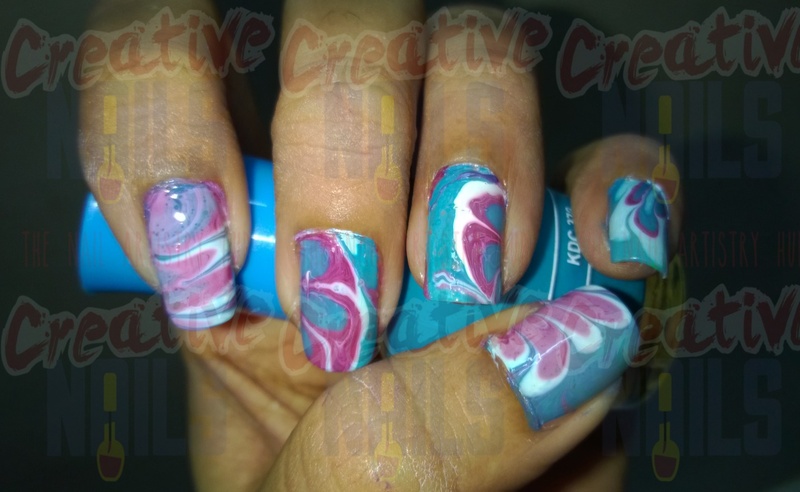 Till then..try this design and enjoy marbling your nails !! Tip: You can use Vaseline, lip balm or scotch tape on your fingers while dipping them in the water to avoid messing up your nail art ! !